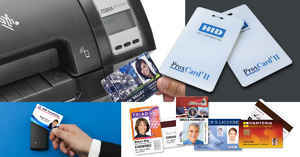 Fargo’s line of single and dual-sided card printers/encoders are each designed with a specific set of tasks in mind. 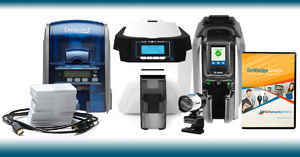 HID/Fargo designed this printer specifically for large organizations with more stringent security and volume requirements than were available with the DTC1000 printer. 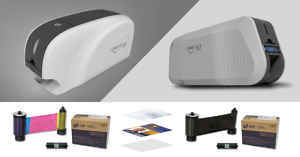 But the goal was not to cloud intuitive use, compatibility and flexibility with indecipherable technological advance and complexity, but rather to find a way where both ends could be met in one easy-to-use and advanced printer/encoder. And like other Fargo models, the DTC4000 represents an advanced generation of high quality specialization printers that efficiently carries out its tasks. Today’s consumer demands a high level of compatibility and so the DTC4000 serves on these expectations as a highly intuitive product requiring very little operational training. 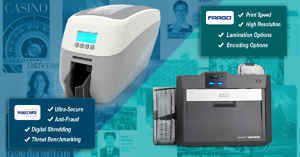 HID/Fargo sought to design a printer as simple as it was sophisticated. The DTC4000 is field upgradable, small and light, contains encoding options, is compatible with professional environments, has advanced security and encoding options. As long we’re discussing location, it is important to consider where placing your printer as there are some guidelines to consider. 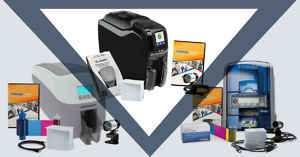 Like with other printers and most electrical machines, the printer should be placed in a location with sufficient air circulation, which prevents internal heat build-up. Keep in mind that although the printer is small, you should allow for enough room for people to walk in front of it when its covers have been opened. You should also avoid installing the printer in areas near heat sources such as air ducts or in front of a window where the printer will be exposed to direct sunlight. Also avoid placing it in areas of high dust accumulation or mechanical vibration. If the printer is brought directly from a cold to a warm, or a dry to a moist location, there may occur a build-up of moisture condensation, which can negatively affect the print quality. In such a case, unplug the printer and leave it in a dry room for several hours, which will cause the moisture to evaporate. The encoding options and ISO standards, as discussed previously regarding field upgradability, can be changed easily in the traditional window and tab format, such as when printing a document. Encoding options include a 125 kHz (HID Prox) reader, a 13.56 MHz, compatible with iCLASS®, MIFARE®, ISO 14443 A/B, ISO 15693, a read/write encoder, in Contact Smart Code Encoder, ISO Magnetic Stripe Encoding and dual high- and low-coercivity. More information is available in DTC4000 User Guide.